Since 2000, Xilligence provides strategic outsourcing services. We create dedicated teams for long-term and ongoing processes or projects that require engaged and knowledgeable delivery teams. Mobile computing is the key driver of technology today. From smartphones, to tablets, to wearable computers, all companies must engage with their clients, customers and their own employees through mobile platforms. Xilligence has strong experience building mobile software. We build apps for iOS, Android and the Mobile Web. Whether you are a small company with an idea for an app, or a large company looking to re-engineer your existing applications, Xilligence will help you deliver your ideas faster, better and smarter. Cloud Services are fast becoming the engines that enables modern internet applications on mobile devices and the desktop; for the consumer and in the enterprise. Almost all applications will engage the Cloud in the future and will require some sort of cloud infrastructure and cloud computing. A company's greatest competitive asset is often the data that it generates, but often companies lack the ability to access, organize and meaningfully extract understanding and insight from their own data. Xilligence has data analysts and business intelligence experts who know how to generate powerful, accurate insights from your data to help your organization become more efficient and become more effective. Let us design an optimal solution for you. In addition, Artificial Intelligence is becoming more important than ever to enable your data to empower your business from customer interactions, sales and even internal process efficiencies. Xilligence has experience developing applications with AI technology and can help your business stay ahead. Xilligence knows that to deliver a successful product or application requires that the software runs smoothly and bug-free. 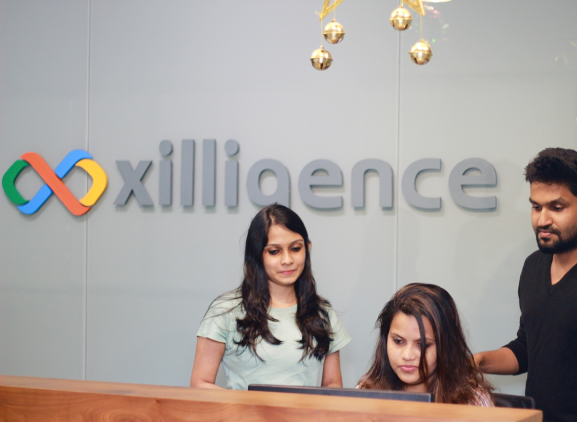 Since 2000, Xilligence has experience in providing QA and Support for our clients around the world in ensuring that our client's software is of the highest standards when deployed and that it stays up to date over time. From multi-level support, to regular maintenance and product updates, Xilligence will be there when you need us. An awesome team for your project. From Enterprises to Start-ups. Xilligence provides high quality IT outsourcing teams for your business. Since 2000, Xilligence has helped companies around the world with their technology outsourcing needs. From small start-ups to large global enterprises, we help our clients and partners navigate today's modern technology landscape and to stay ahead of the competition. From smartphones to the modern web, from desktops to the cloud, from AI to Big Data, Xilligence has the experience to help your company compete across all these technological fronts. Contact us to see how we can help.